The victim, a woman of vast wealth and even greater connections, is the fourth in a string of shocking murders that have hit the city. As the public pressure mounts, and political and personal secrets of the highest order hang in the balance, Zach and Kylie must find out what’s really behind the murderer’s rampage. But Kylie has been acting strange recently—and Zach knows whatever she’s hiding could threaten the biggest case of their careers. My thoughts: I am a huge fan of James Patterson’s Alex Cross series and Women’s Murder club series and I admit I was skeptical about another new series from him for fear it wouldn’t live up to what I love! 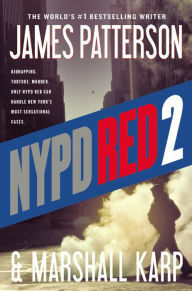 Well thankfully, I really love this NYPD Red series. 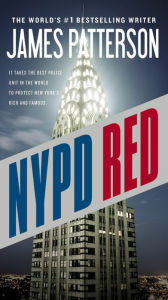 The series follows Zach Jordan and Kylie MacDonald, two of the top NYPD Red detectives, as they investigate high profile crimes of the very rich and famous. I was worried that with the theme of having the main characters all be incredibly rich, high profile individuals that the storylines would come off us incredibly pretentious and annoying, but luckily that is not at all the case. I find this series incredibly fast-paced with great lead characters! Working my way through #3 now and of course like any good reader I have #4 on my nightstand! I highly suggest this series for fans of Patterson! My thoughts: I really enjoy James Patterson and the Women’s Murder Club mystery series – but I must say this wasn’t my favorite in the series. This one just fell a bit flat for me. 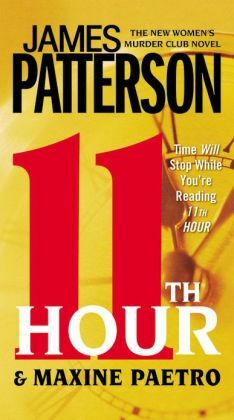 In this series, Patterson always sets up about 3 different storylines throughout the course of the book and then of course ties them up nicely at the end. The storylines in this particular book didn’t fit together all that nicely, weren’t all that page-turning exciting, and don’t get me started on how they all ended up. I’m sorry but the ending of this book was horrible. . . I turned the page to continue reading and it was done . . . what . . . that was the ending, no way! It was supposed to be a cliffhanger, but it didn’t really turn out that way. The ending of all three storylines was just too abrupt, didn’t work for me. 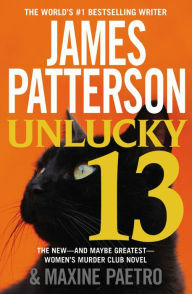 Hmmmmm, knowing my love of Patterson, I will go back for the 15th installment of this series. . . but #14 was not Patterson’s finest hour. My thoughts: Well, perhaps I am in a reading slump, but I normally love, love this series, but this one just didn’t it for me. Here’s why. During this particular series, the author always sets up a series of three separate plot lines and normally weaves them together in some connected way or at least adds some excitement to the reading. Not this time. The three separate plot lines – Yuki’s cruise experience, the Morales returns plot, and then the random belly bomber storyline – were all seemingly disparate and had absolutely no connection with one another. The belly bomber story line didn’t even really end and had absolutely no purpose in the book at all. Overall a disappointing fail for this one . . . ugh, I hate when books fail me. It’s finally time! Detective Lindsay Boxer is in labor—while two killers are on the loose. Lindsay Boxer’s beautiful baby daughter is born! While Lindsay and Joe are at home in bliss, San Francisco gets hit with multiple killings. An eccentric English professor has been having vivid nightmares about a murder that he claims is real. No one believes him-until a vicious shooting fits the man’s description to the last detail. Then the girlfriend of a star player for the San Francisco 49ers is found dead in her car, making the athlete the prime suspect. This seems like an open-and-shut case-until the body inexplicably vanishes from the morgue. When the desperate chief of police calls for help, Lindsay is forced to return to work after only one week at home with her newborn. But all the crimes in the world will seem like nothing when she suddenly faces the most devastating loss of her life. With heart-pounding emotion and suspense, 12TH OF NEVER is James Patterson’s most shocking and sensational Women’s Murder Club novel yet. My thoughts: I decided to jump back into this series after some time away (after I lost my mojo with it after a disappointing #10) and I’m certainly glad I did. I really enjoyed this book and of course flew through it like I do most Patterson books. I love jumping back into a storyline with a cast of characters that I know . . . its like returning home! I also truly enjoyed the overall plot lines of this book. There were two or more simultaneous storylines that flowed well together and played off one another beautifully. I know Patterson takes quite a bit of flack for publishing so many books, and basically having other authors write them while is name is on them . . . but let’s face it, if you love them you love them. Read on! Very much looking forward to #13 which happens to come out days before I get on a plane for Hawaii! Can’t wait to read it. My thoughts: I am so very glad I got back into this series . . . I really, truly enjoyed this installment in James Patterson’s Women’s Murder Club Series. Frankly, after the 10th book in the serious which fell a bit flat for me I was hesitant to get back in and finish up the series. I am glad I did! I love James Patterson, particularly the Alex Cross series, . . . and this series is a close second for me. I love coming back to good, comfortable, familiar characters in these novels. I love how the 2 or 3 seemingly separate storylines play off one another, work well together, and keep the plot moving quickly ahead. I flew through this book, which is exactly what I needed for this little reading slump that I am in. On to number 12 in the series . . . full speed ahead! Synopsis (from bn.com): Detective Alex Cross is being stalked by a psychotic genius, forced to play the deadliest game of his career. Cross’s family–his loving wife Bree, the wise and lively Nana Mama, and his precious children–have been ripped away. Terrified and desperate, Cross must give this mad man what he wants if he has any chance of saving the most important people in his life. The stakes have never been higher: What will Cross sacrifice to save the ones he loves? My thoughts: I absolutely love James Patterson’s Alex Cross series. I will admit however that the last couple of books it felt a little forced and stale to me. I always feel like his focus on some of his many other series was negatively effecting the Alex Cross series. 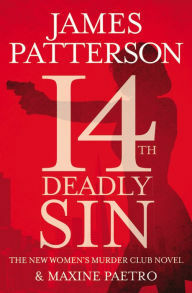 However, in my opinion Patterson is back at his best with this latest installment of the Alex Cross series! Wow! is all I have to say about Hope to Die! The plot is exciting, incredibly fast, intriguing, scary, twisted . . . excellent!!! If you are a fan of Patterson . . . this book is not to be missed! Another superb, fantastic read . . . go get your hands on it now!!! !